If you’re buying a property in Spain, you may be considering taking out a loan to finance part of the purchase. Getting a Spanish mortgage is definitely possible for non-residents; in 2017 6.8% of mortgages in Spain were taken out by foreigners. If you’re financing your property purchase with a loan, take note of the following tips to ensure a smooth and straight forward process. Weigh up pros and cons. As a non-resident, you’re unlikely to get a Spanish mortgage with terms as favourable as those for residents. Think carefully about whether a loan is financially worthwhile for you and consider the financial implications for you if (when) mortgage interest rates rise. For further information about the advantages and disadvantage of a mortgage in Spain, see below. Jump to section below. Organise your Spanish mortgage well in advance. As is the case in any country, the sooner you start thinking about a mortgage application, the better. Planning ahead gives you time to shop around for the best deal and compare terms and conditions. Leaving it until later, on the other hand, may result in less a favourable loan for you. Start your mortgage application at least two months before you plan to buy. Prepare your paperwork in advance. For your mortgage application, you’ll need to show proof of earnings, address and possibly, your loan record in your country of residence. Shop around. There’s intense competition among mortgage lenders in Spain so it makes sense to compare and contrast terms and conditions. Prepare yourself in Spain. To get a mortgage, you’ll need a NIE (foreigner’s tax number link to NIE piece) and a bank account link to bank account piece. Beware of ‘floor clauses’. Mortgage contracts may contain ‘floor clauses’, also known as capped mortgages (clausula suelo in Spanish). These allow the bank to charge a minimum percentage interest rate even when rates are lower. While floor clauses are not illegal, they can be considered abusive, particularly when the bank has not informed the client of their existence. Take professional advice on this if necessary. Don’t commit yourself to a bank. Look carefully in the mortgage contract for a clause obliging you to stay with the bank for a certain period of time (in some cases, banks require you to stay with them for the entire duration of the loan). This may not be in your interests since it restricts your ability to change to a bank with better mortgage terms later on. Also, beware of clauses tying you to certain bank products, e.g. insurance policies. Consider using a broker. Using the services of a mortgage broker may save you valuable time and money since they do the shopping around and comparing for you. Make sure you choose a reputable broker with a proven track record and registered with the Spanish authorities. Think about the long-term implications. If you take out a Spanish mortgage, the usual term is 15 to 20 years. This is a long financial commitment. One of your first considerations should be to weigh up the pros and cons of a mortgage loan in Spain. The final balance will depend on your personal and financial circumstances as well as your long-term plans. Perhaps the biggest benefit of all since it allows you to buy a bigger and/or better property. In areas popular with foreign buyers, extra budget often makes the difference between an average property and an exceptional one. But don’t be too ambitious – few Spanish banks allow more than 60% loan-to-value (LTV) to non-residents and 50% is often the norm. Buying a property with a mortgage means you use less of your own money for the purchase and gives you extra leverage when you sell later on. Profit margins are particularly good if interest rates are low and property prices are rising (as is the case with the Spanish property market in 2018). However, there are no guarantees that interest rates will stay low or that prices will continue to rise. There’s no guarantee on your financial future – you may not always be able to meet mortgage payments. Interest rates go up and down. The Euribor (mortgage interest reference rate for Spain) is currently low but there’s no guarantee of future rates. Property prices go up and down. 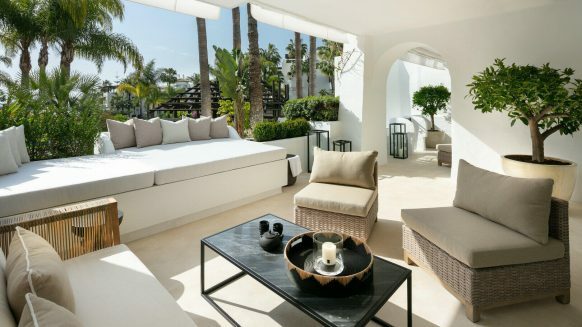 The Spanish market has recently emerged from a crisis when many owners with mortgages found themselves in negative equity on their property. There’s no guarantee this won’t happen again in the future. Under the provisions of Spanish law, mortgage debt is personal and unlimited. This means that if you default on your payments, the bank can claim on all your assets worldwide, not just on the property in Spain. So, for example, if the repossession of your Spanish property does not cover your mortgage debt, the bank has the right to come after your assets outside of Spain. Take a long look at your finances and make a realistic budget for your purchase. 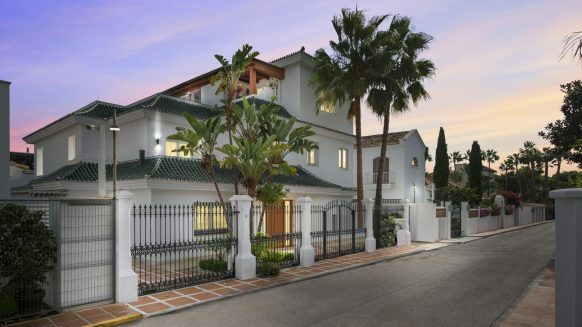 If you can expect to be able to meet payments for the duration of the loan if interest rates rise or you find yourself in different circumstances, getting a Spanish mortgage could be a savvy financial decision. If, on the other hand, you can’t, then taking out a loan is not in your interests. Spain has a very competitive mortgage market and as a result, there’s plenty to choose from when it comes to loans. However, non-residents buying Spanish property with a mortgage have more limited access to loan types and conditions. In this section, we look at the principal conditions for mortgages in Spain and the main types available. In common with banks worldwide, Spanish financial entities associate second homes with a higher risk of default on payments. Their reasoning is that a holiday home is a non-essential asset and therefore expendable and the first to not be paid in times of financial difficulty. Consequently, the choice of mortgages and their terms are more restricted than for principal homes. Loan-to-value (LTV) levels and periods of repayment are considerably lower and conditions tend to be more stringent. Resident buyers are often offered up to 80%, which can rise to 90% in the case of first-time buyers. But for non-residents, LTV is much lower. When you apply for a Spanish mortgage, don’t expect to be offered more than 70% LTV with 60% the average in practice. Some banks only finance 50% of the purchase. You therefore need to budget for at least 40% of the purchase yourself. Residents in Spain can access loans of up to 40 years, but in the case of non-residents, the typical length of the mortgage is between 15 and 20 years. All Spanish mortgages take the Euribor interest base rate, set by the European Central Bank, and add a percentage on top. Banks are free to apply their own rates, but in practice, fierce competition means that most charge similar rates. In mid-2018, the Euribor stood in negative territory where it has been since early 2017. Most Spanish banks were offering variable interest rate mortgages at the Euribor plus between 0.5% and 2%. Fixed rate mortgages stood at the Euribor plus 2% or 3%. This is by far the most popular type of Spanish mortgage, particularly since the Euribor has been in negative territory. The benefits of variable interest rates include the opportunity to take advantage of ‘cheap’ money and more choice of mortgages. On the other hand, with a variable interest mortgage you do not know how much your monthly repayments are going to be and interest rates may go up. Less popular among Spanish buyers, although in recent months there has been more take-up on this type of mortgage. Its main drawback are higher costs – you pay more to borrow the money when interest rates are low – but on the other hand, you know exactly how much your monthly repayments are for the entire duration of the mortgage. You are also protected from future interest rate rises because yours is fixed. Mortgages allowing the borrower to pay interest only during the first term of the mortgage (usually two years) are not common in Spain, particularly since the property crisis. They are also only available to residents. Their main advantage is lower monthly repayments, but they work out more expensive because of the extra time taken to pay off the capital. You may want to consider taking out a mortgage in a currency other than the euro. Some Spanish banks provide non-euro loans, although it isn’t common practice. The main benefit of having a mortgage in your currency (e.g. pounds sterling or Swedish crowns) means that you reduce the cost of currency exchange on repayments. On the other hand, non-euro mortgages are more difficult to obtain and Spanish banks tend to charge more for this type of loan. 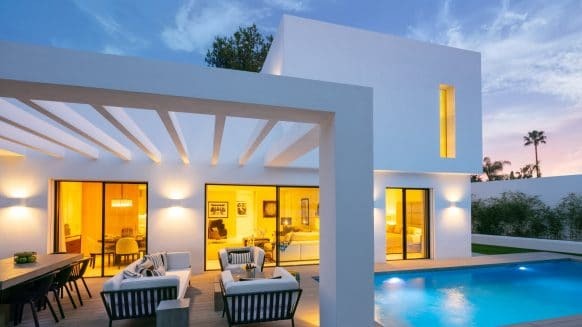 If you’re planning to buy a property in Spain to let, either as a holiday home or long-term rental, it makes sense to take out a mortgage in euros. Financial experts advise that the best way to minimise currency risks is to have the asset and loan in the same currency. In this example, you would use rental income to pay your loan. One of the disadvantages of taking out a Spanish mortgage is that the transaction involves several costs. These are levied in addition to the taxes and fees charged as standard on a purchase. Link to buying taxes In this section, we list the costs incurred when you take out a loan to buy a property in Spain. It used to be the case that the buyer took on all costs associated with a mortgage, but in recent years, consumers have successfully won high-profile court cases against the banks and reclaimed mortgage costs. This is not a given, however, so before signing your mortgage clause, make sure you fully understand which costs are to be paid by you and which by the bank. In order to approve a mortgage loan, the bank first needs to carry out a valuation on the property. This is a compulsory step and costs vary depending on the property price. Expect to pay between a few hundred euros and several thousand. Note that the valuation is usually carried out by a valuer named by the bank, not one chosen by you. Who pays: since the bank is the party interested in ascertaining the value of the property it should pay this charge. All banks charge a fee for setting up a mortgage and approving the loan. The fee is levied on the amount loaned so the more you borrow, the higher the mortgage fee. It’s worth comparing fees charged by different banks and opting for a lower one, particularly if your loan is substantial. Banks generally charge between 0.5% and 2% of the loan, with the average around 1%. Who pays: the buyer (you). Known as Impuesto sobre Actos Jurídicos Documentados in Spanish (AJD), this tax is charged on a mortgage loan. AJD is levied as a percentage on the loan and the amount varies depending on the region of Spain. For mortgages taken out on properties on the Costa del Sol (in the region of Andalucia), AJD is levied at 1.5%. The notary charges a fee for the title deeds and notary services when you buy a Spanish property. Link to the buying process Buying with a mortgage involves an extra section on the title deeds with the subsequent additional charge. Who pays: there is room for negotiation on this charge and your bank may be open to paying for this. As is the case with notary fees, Land Registry fees also rise when a mortgage is involved because the loan must be registered as a charge against the property. Who pays: as with notary fees, your bank may be open to negotiations on paying for this. Your bank will employ a gestoría (professional company providing paperwork services) to pay the mortgage taxes and fees and to register the title deeds. The cost of this varies depending on the size of the mortgage loan and the work involved. Some banks operate with a particular gestoría and give buyers no opportunity to choose an alternative. Who pays: if the bank has named the gestoría and will not allow you to use an alternative, this charge should be paid by the bank. When you take out a mortgage in Spain, you must also contract insurance for the property covering both the building itself (continente in Spanish) and its contents (contenido). The bank supplying the mortgage loan will offer to provide insurance cover as well – you are not obliged to take out insurance with them, but in practice, you are likely to get better terms and conditions for your mortgage if you do. Your bank may also offer life and mortgage insurance policies. Neither are mandatory for a mortgage loan in Spain, but you may wish to look into these for additional financial security. Always check the terms and conditions of insurance policies and beware of clauses that oblige you to take out a policy with your bank for the duration of the loan. Insurance offered by banks is not necessarily the cheapest on the market. If you are buying a property in Spain that already has a mortgage, you may want to take over the loan yourself. Fees to transfer a loan from the vendor to the buyer are around 0.5% of the loan’s value. Although there are mortgage fees that you cannot avoid, you may be able to negotiate lower charges on other fees with the bank. Competition for mortgages is fierce and your chosen bank may be willing to reduce valuation and mortgage fees in exchange for your business. But be aware that in lieu of fees, the bank may charge more for the mortgage itself or apply a higher interest rate.